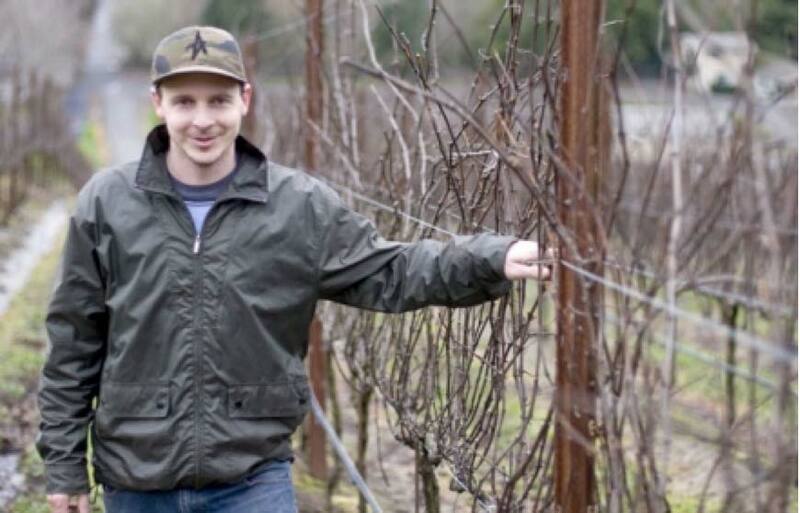 Ryan Zepaltas is a 28-year-old assistant winemaker at Siduri who came to wine through fate. After moving to California from Wisconsin in 1998, where he was an accomplished skateboarder, he landed a cellar rat job at La Crema Winery. Two years later, he went to New Zealand to work at Villa Maria and it was here that he realized his winemaking calling. After returning to California, he worked at several wineries, gradually developing a serious interest in Pinot Noir. Ryan became the Cellarmaster and Assistant Winemaker at Siduri five years ago. Ryan leases a small space at Siduri for his own eponymous label which he began in 2004. He is one of the new hounds in the Pinot race and has the good fortune to have an experienced mentor in Adam Lee to guide him. That is not to say that his wines are just like Siduri’s, for he has developed his own style which emphasizes a light hand and bright acidity. The focus is on Pinot Noir from the Russian River Valley and Sonoma Coast. 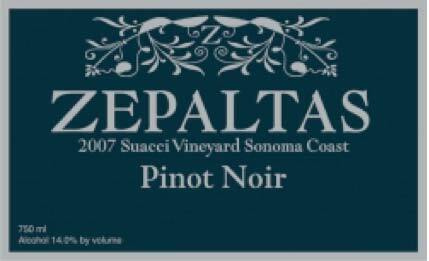 I enjoyed the three 2006 Zepaltas Pinot Noirs and recently had the opportunity to taste two 2007 Pinot Noirs that were recently released. 14.5% alc., 107 cases, $39. An appellation blend to be released in February, 2009. · A chameleon of a nose, changing constantly in the glass. Black cherry, raspberry, oak char and spice, Provencal herbs, white pepper and a little barnyard. Redder fruits on the palate including currants and cranberries with a hint of oak and roasted tomato. Bright and crisp with a slight citric tang on the refreshing finish. My family gulped the rest of this bottle down in nothing flat. 14.5% alc., 97 cases, $47. Clones 114, 115, 667 and 777. To be released February, 2009. · Demure aromas of cherries, dried flowers, herbs and oak. Appealing core of wild berries and edible flowers with svelte tannins, admirable finesse and good lift on the persistent finish. A feminine wine that is light on its feet, soft and silky and quite likable. Currently not as showy as the excellent 2006 version of this wine, but time in the bottle will change this. 14.0% alc., 97 cases, $48. Clones 114, 115. Aged 11 months in 40% new French oak. · Fresh berries, oak char and a hint of good Pinot funk on the nose. Succulent fresh flavors of berry tart, cranberries, dry cherries and toasty oak. Admirable elegance, soft in the mouth, and bright acidity on the refreshing finish. While the above wine (Suacci Vineyard) demands contemplating, this wine is more adaptable to the dinner table. 14.0% alc., 145 cases, $49. Suacci owner John D. Suacci has enlisted the services of noted farmer Charlie Heintz to manage the vineyard and improve yields and balance in the grapes. Aged in 38% new French oak for 11 months. · Spirited aromas of black cherries, wild flowers, hay and oak that rocket out of the glass. Delicious and vibrant blackberry and ollalliberry fruit with some other intriguing flavors I can’t pinpoint. Beautifully herbed and spiced and perfectly balanced, this is a wine of great nuance that makes you sit up and take notice. I loved this wine! The Zepaltas wines are largely sold through a mailing list at www.zepaltaswines.com. Magnums are also available in limited quantity. A Syrah from the Santa Lucia Highlands Rosella’s Vineyard is also in the lineup.